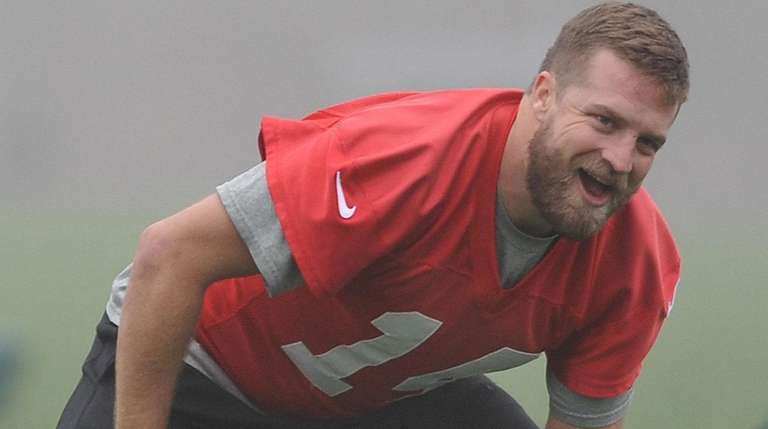 FLORHAM PARK, N.J. — Ryan Fitzpatrick isn’t interested in soap operas. He understands the intrigue and the drama surrounding Sunday’s win-and-in game in Buffalo against Rex Ryan and the Bills. But the veteran quarterback isn’t fazed by all the hype. “I think we got that one out of the way the first time we played them,” Fitzpatrick said Wednesday, referring to the Jets facing their former head coach for a second time. This time, however, the stakes are infinitely higher. If the Jets (10-5) defeat the Bills (7-8), they’ll clinch an AFC playoff spot for the first time since 2010. One more win is all they need. And another big-time performance from Fitzpatrick will boost their chances of success. 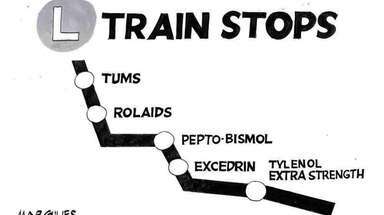 The 33-year-old, however, was limited on Wednesday with an assortment of ailments — a sore left thumb, right elbow and back. But coach Todd Bowles insisted the quarterback will be fine for Sunday’s rematch. “It shouldn’t be anything serious,” Bowles said. For the second time in three weeks, Fitzpatrick was named the AFC’s Offensive Player of the Week for his performance in their 26-20 overtime win against New England. He completed 26 of 41 passes for 296 yards, three touchdowns and no interceptions against the Patriots. He was 3-for-3 for 74 yards in overtime, including a game-winning 6-yard TD to Eric Decker. That win propelled the Jets to this point — one step closer to the postseason. But Fitzpatrick said he doesn’t feel weighed down by the enormity if the situation. “Especially as an offensive player you’ve got to be composed at all times. You can’t be going a million miles an hour,” said the veteran signal-caller, who was voted the media “Good Guy” award winner by Jets beat writers. Fitzpatrick is hoping for a far different outcome this time around against the Bills, who defeated the Jets, 22-17, at MetLife Stadium on Nov. 16. He completed 15 of 34 passes for 193 yards and two touchdowns but also threw two interceptions, including one with 24 seconds left in the game. “Whether it was some throws — where I was making them or how I was making them — I just wasn’t pleased with the majority of my performance,” he said. “So that was something I just tried to evaluate after that game and work on the next few weeks and try to get better at. Talk of facing Ryan eventually gave way to another subplot in this rivalry: Fitzpatrick’s return to Buffalo, the city in which he played four seasons (2009-12). And he couldn’t resist the opportunity to interject some humor. “You’re going against another former team . . . ” one reporter said, before a laughing Fitzpatrick interrupted his query. “Every week,” joked the Jets quarterback, now on his sixth team in 11 years.